I don’t know about you but I never set much store by the old school report card: Perhaps it’s my scientific frame of mind at work – the mentality that sees things as simply fact or not fact; done or not done; proven or otherwise. Any other commentary or footnotes I always feel to be a little superfluous. My bad I’m sure – as they say these days. 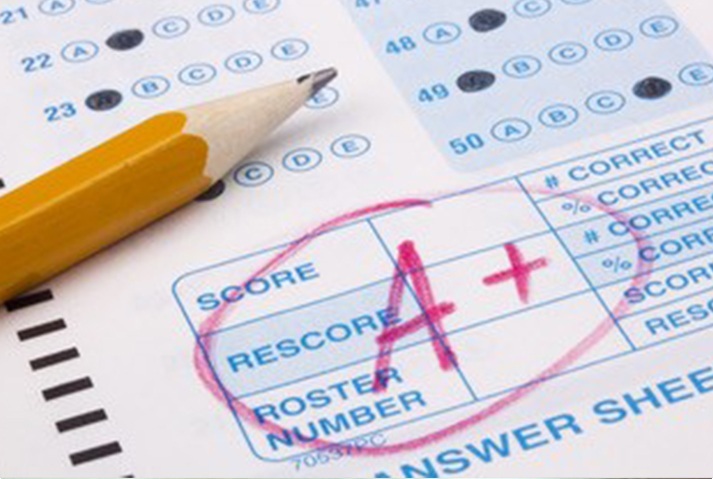 However, in today’s commercial world the report card is becoming more and more established. It is not only imperative that you the supplier do things right, it’s also very important to know that you’ve done them right (or wrong) – and for your performance to be graded as such. And not only must supplied products and services now be traceable and transparent in fact and in their manufacturing processes and documentation – the same goes for all commercial, financial and administrative activities. All of which is why we at Aquapurge are extremely delighted to have received a Straight “A” report card from one of Europe’s leading and largest Intermediate Bulk Container (IBC) manufacturers, Schuetz. This particular evaluation relates to a full twelve month supply period through 2018. I’m not saying it was easy: To achieve Class A Supplier status we had to score 10 out of 10 on matters of price, quality and service. However, our products also saved our customer a great deal of money and effort in costly servicing and cleaning and downtime of expensive capital machinery. Above all, good grades mean that your reputation can travel before you. Based on these assessments and procedures, for example, we now supply Schuetz worldwide. And should references be needed for work in similar areas these are now readily obtainable. And this is not a subjective matter but part of the audit process that more and more businesses are deploying globally.